Looking for more opportunities to practice the bossy r “or” sound in an engaging way? 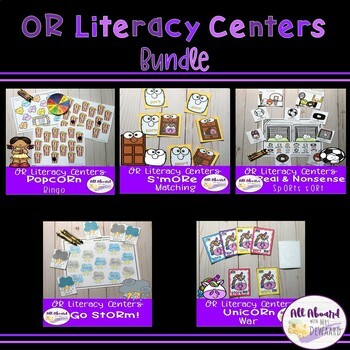 These centers and small group activities are perfect for reinforcing the or sound. Or word families included: orm, ork, ord, orn, ort, ory, orch, oor, ore, or, and orth. Included in this pack are 5 high interest activities that your students are bound to love. - Go StORm! : Students will get to play go fish with storm clouds. They will need to ask other players for or words to try and get a storm match! -S’mORe Matching: Students will match the or marshmallow word to the matching chocolate picture. This s’more themed matching game will be a hit! -Real & Nonsense SpORts Sort: Students will decide if the words are real or nonsense. They will need to sort the words under the real and nonsense cards. 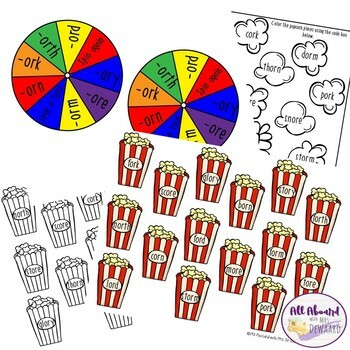 -PopcORn Bingo: Students will work on identifying word families by playing this bingo game. Students will spin for a word family. Then, they need to find a word that matches the word family on their game board. The first student to cover their board is the poppin’ winner! 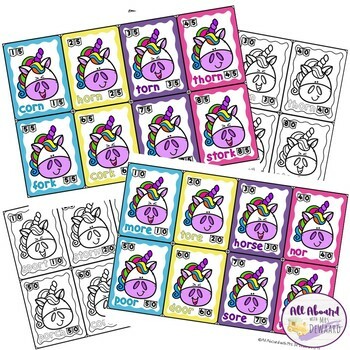 -UnicORn War: Students will continue to reinforce the bossy r “or” by building their fluency during this game. It is played just like the card game, War, except students need to read their words as they lay their cards! 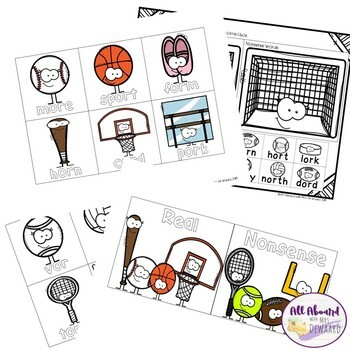 -All activities have black and white versions to help save money on ink.